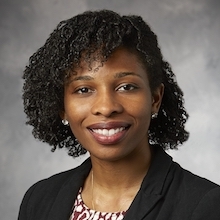 Chika Nwachukwu is a Resident in Radiation Oncology at Stanford University. Her global health efforts include improving cancer care and delivery of radiation therapy in low resource settings, through education. Her research interests include understanding the molecular biology of gynecologic malignancies from diverse populations. She was recently awarded a grant from the Rodney R. Million, MD Fund for Innovation in Clinical Care to pursue global health focused work. Kenyatta National Hospital, Nairobi Kenya: Transitioning from 2D to 3D radiation treatment planning. Kenyatta Hospital (Nairobi Kenya) is the only public hospital in Kenya that is dedicated to cancer management. Radiotherapy is an integral component of cancer care in this region. At Kenyatta, a linear accelerator was installed in March 2016 and treatment of patients is slowly ramping up on this machine. The major road blocks to ramping up include technological glitches, unfamiliarity with the 3D treatment planning system. Using a multidisciplinary approach and a team comprising of a clinical radiation oncologist, radiation therapists and medical physicists our focus was to improve radiotherapy delivery and the theme centered around the transition from 2D to 3D radiotherapy. This was accomplished with carried out with hands on teaching including simulation and set -ups, contouring, treatment planning and patients management. 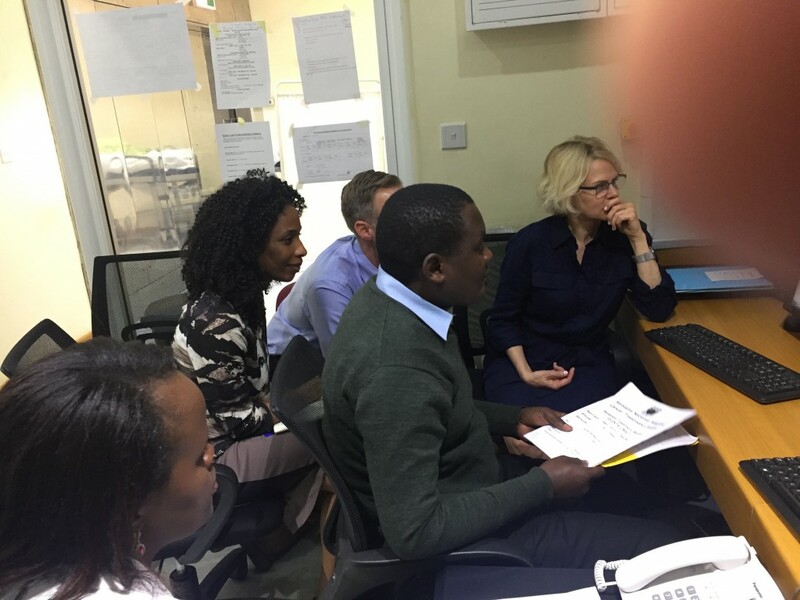 Using a needs assessment, we examined barriers to improving cancer care and developed short term and long-term goals to improve cancer care at two teaching hospitals in Nigeria. The goal was to determine if an adequate system exists to evaluate the cancer burden and determining the available resources to tackle the burden. From our needs assessment, two short term goals identified include improving radiotherapy delivery by teaching the transitioning from 2D to 3D treatment planning and as well as developing a multidisciplinary tumor board. Tanzania has a high burden of cervical cancer cases. Patients are managed with chemo radiation similar to the US standards. 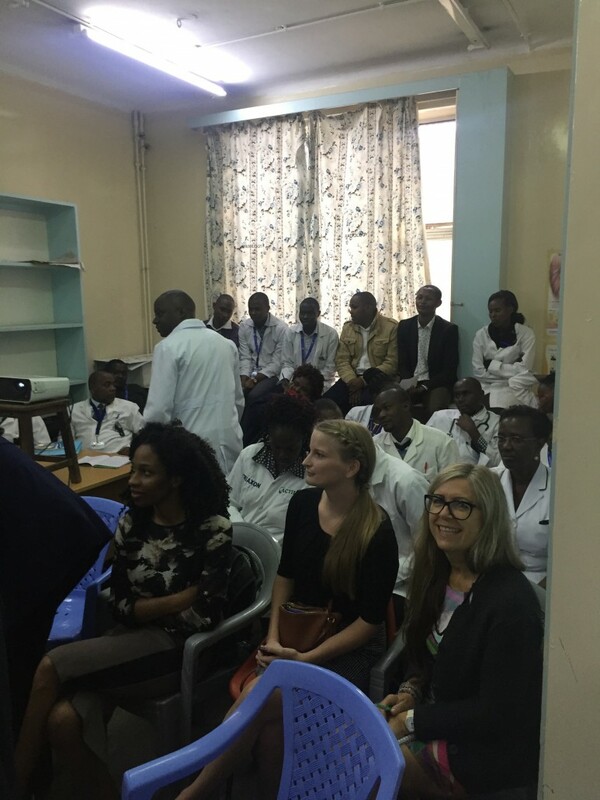 At ORCI ~70% of the patients have cervical cancer and there are high disease recurrences among the patients at this institution. Our goal is to develop research collaboration with physicians at ORCI to study these tumors and determine predictors of aggressiveness. 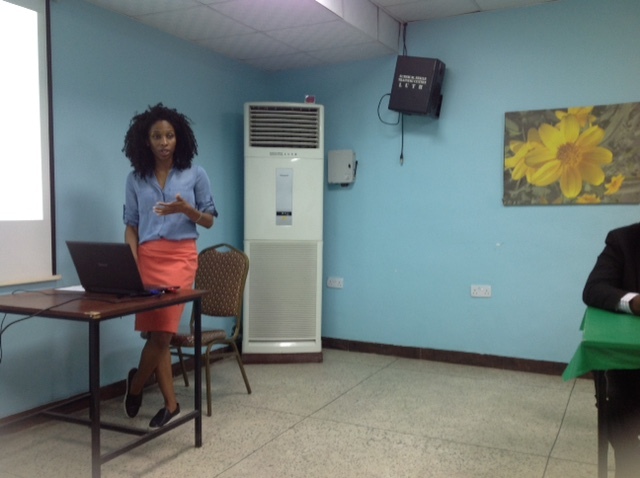 Dr. Nwachukwu teaching to the ABUTH and LUTH team in Lagos. Dr. Nwachukwu during a morning lectures to the team. Hands on treatment planning with the radiographer, Charles. 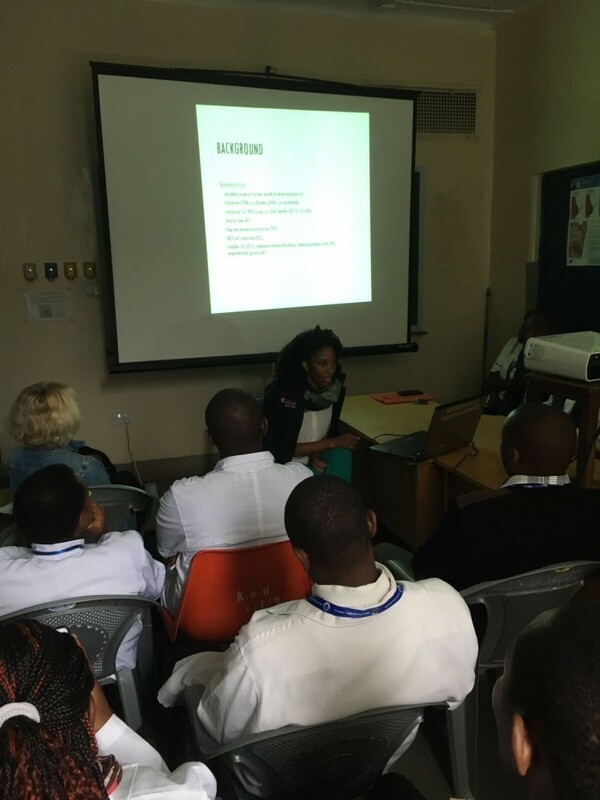 Dr. Nwachukwu giving a lecture to the physicians, radiation therapist, radiographers, physicists, nurses and ancillary staff. the team that travelled to Kenya along with the 2 staff members from Kenyatta National hospital. 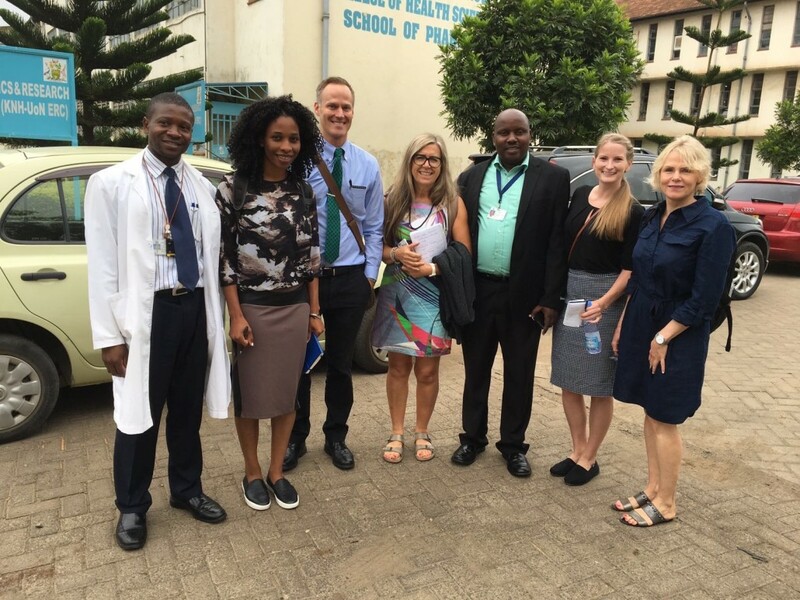 From left is Vincent a radiographer from Kenyatta, Chika, Tom banks, medical physics resident from Stanford, Lynne Omar, a radiation therapist from the UK, Longino Mucheusil, chief Radiographer at Kenyatta National hospital, Jen Murray, a radiation therapist from UCSD, and Lynn Million, Radiation oncologist from Stanford.